As imminent as full autonomy can seem, to hear many 2019 CES exhibitor companies tell it, there remain challenges to be overcome in terms of establishing rock-solid, redundant situational awareness. Robocars must know within an inch or so where they are at all times, they must know with absolute certainty what is around them, they must know all of this in any lighting or weather conditions, and the many sensors that make all of this possible can’t cost $25,000 USD each. Loads of progress is being made on all these fronts, with new types of lidar and radar, thermal-imaging cameras, new ways of improving accuracy of satellite GPS data, and improved “dead reckoning” systems that fill in the gaps when GPS signals are lost. Another CES or two and we’ll probably be able to hoist the “mission accomplished” banner on enviro-sensing. Read on for this year’s innovations. Blackmore is one of many companies now leveraging established technology from the fiber optics industry (which employs 1,550-nanometer laser light instead of the more ubiquitous 905-nm light). It also emits continuous waves of laser light, varying the frequency slightly over time, whereas the more established lidar devices send discrete pulses of light, measuring the “time of flight” of the reflected photons. Both approaches produce a “point cloud,” but the big difference is that the Blackmore approach works a bit like radar, in that light reflected off a moving object experiences a slight “Doppler shift” (in sound, that’s the reason a train whistle sounds different when it’s coming at you from when it’s going away). This means that Blackmore’s originally computed “point cloud” includes velocity information, whereas the other guys have to compare point clouds from one burst to the next and do calculations to figure out velocity of objects in these clouds, which demands more computational power. When lidar companies show you their raw “point cloud” images, they’re always in color. Most change color the farther things are away from the sensor, but Blackmore’s coloring is velocity based. Stopped at a traffic light, everything is monochromatic, but when the light changes, everything becomes colored, with spinning tires or pedestrian legs being a slightly different color from the bodies above them. Pretty cool. Other benefits—1,550-nanometer light is safer for human eyes, frequency-modulated pulses are vastly less susceptible to interference from other vehicles running the same technology, it can see 200 meters with very high resolution and 400 meters at lower resolution, and the velocity profile of reflections off snowflakes can be easily filtered out (snow and fog still interrupt the return of light pulses and diminishes the system’s effectiveness, however). Production is ramping up of test units still priced just south of $20,000 USD, but Blackmore is working with multiple Tier I suppliers to roll out a sub-$1,000 USD product by the 2023–25 time frame. Those units will likely switch to a solid-state setup. AEye thinks 1,550 nanometers is the way to go, too, but takes things a step further by combining its dynamic iDAR solid-state lidar with a camera in one unit. Per AEye, traditional lidar is slowed down by its need to treat every pixel equally, creating a ton of environmental data for the computer to sift through, most of which gets thrown away when it’s determined to be irrelevant to vehicle travel. AEye’s solution embeds microelectromechanical systems into the solid-state lidar. This allows it to fire photons randomly rather than in a preset pattern, which is easier for the computer to process. It also allows the sensor to hone in on areas of interest and direct more photons at them rather than taking another picture of the entire environment and throwing most of it away. AEye says this reduces power consumption and latency by reducing the workload of both the lidar and computer. At the same time, AEye pairs the dynamic lidar with an HD camera for both resolution and color sensing. 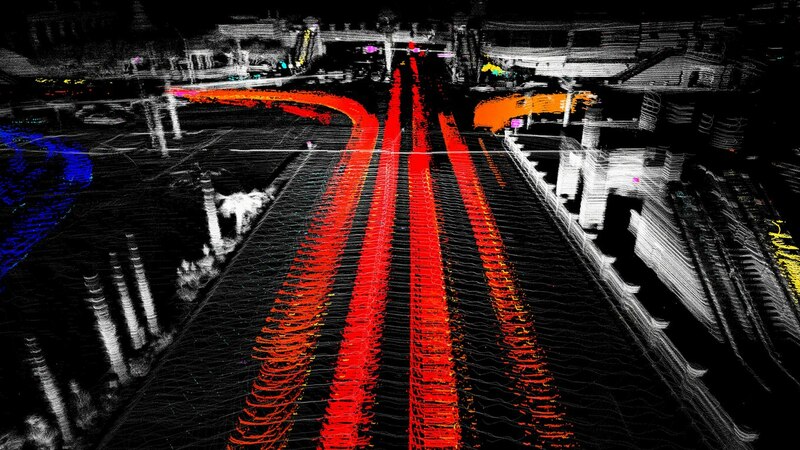 The data from both the camera and lidar are fused at the sensor rather than at the computer, saving processing power. AEye’s software then processes what it’s seeing and directs the vehicle accordingly. The company says its system is an open book; OEMs can upload any custom detection and tracking software to enhance the system. AEye, which was born out of target acquisition and tracking technology developed for the military, claims iDAR is the fastest scanner on the market at 100 Hz and can see the farthest, up to a kilometer away. It does this, AEye says, while reducing power consumption five to ten times over competitors. 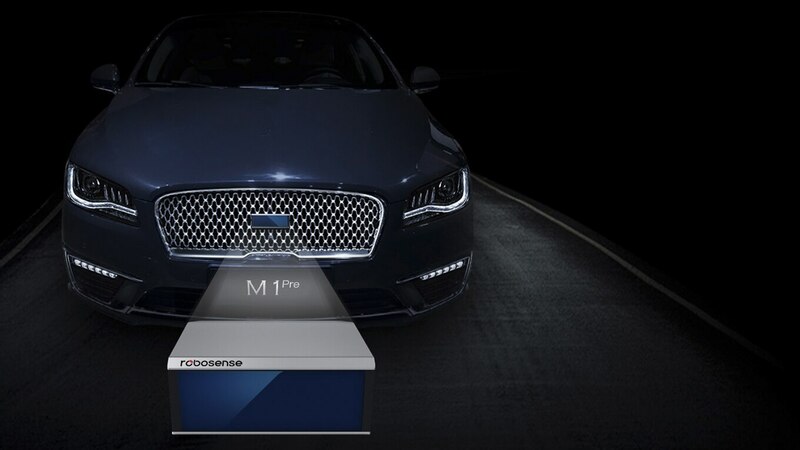 RoboSense’s RS-LiDAR-M1 Gaze system won a CES innovation award for its lidar/camera fusion solution that uses the 905-nanometer pulsed time-of-flight laser technology fused with a two-dimensional camera image and deep learning algorithms that establish target points of interest and focus the laser’s “gaze” on these areas to obtain rich data about their position and velocity. 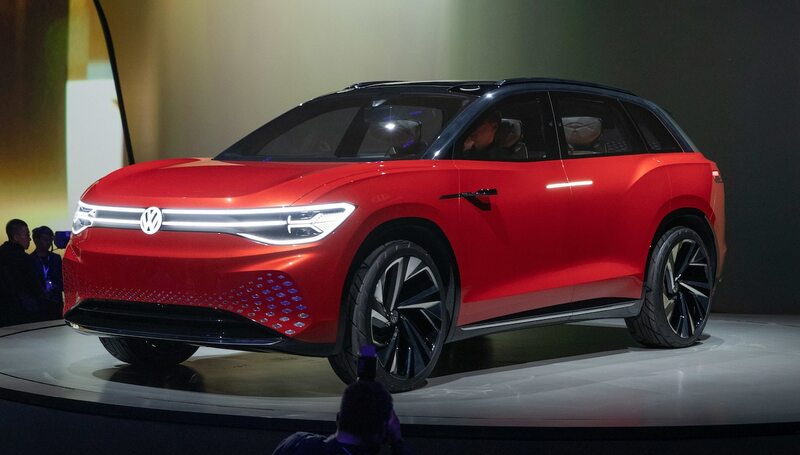 The lidar unit is a solid state of the MEMS type (using microelectromechanical mirrors), and the company anticipates production in 2020 priced at around $200 USD. It also expects the form factor to shrink about in half again from its already compact 2.8-by-5.5-by-6.5-inch size. Cepton is readying a lidar product for “millions” of units. It uses the more established 905-nanometer pulsed laser approach, but its unique twist on solid-state lidar systems is that its micro mirrors are positioned via tiny electromagnets. 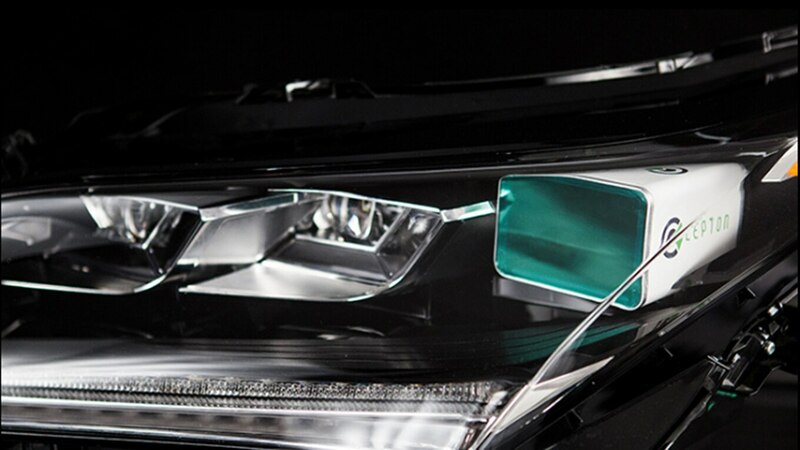 The big news at CES was that the company has partnered with Japanese lighting manufacturer Koito and plans to incorporate its compact lidar units into headlights and taillights that include cleaning functions. 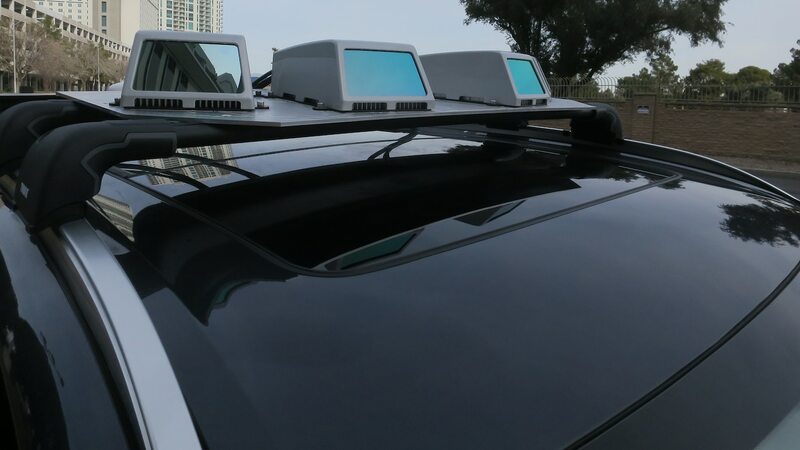 Arbe Robotics claims its 4D radar is “10 times more sensitive than any system in the market today.” As a result, Arbe Robotics says, employing its 4D radar could reduce the number of sensors required in an autonomous vehicle’s sensing suite, potentially reducing overall costs. The big breakthrough is Arbe’s high resolution at both a long distance—object detection is reliable at 300 meters (984 feet)—and a wide field of view (100 degrees wide and 30 degrees up). Resolution accuracy is said to be 1 degree of angular resolution in the horizontal direction, 2 degrees vertical. The system also works with SLAM—simultaneous localization and mapping—algorithms to help establish position. A patent-pending innovation helps its receiver reject radar waves emitted by other devices. Production is expected to ramp up in 2020. AdaSky’s Viper product introduces technology developed in the security and military sectors using a far-infrared thermal camera that merely receives thermal data (no infrared light is generated and reflected) from objects in the environment. This means it works better in inclement weather because objects in the fog or snow still radiate heat. Their system can provide detection to 120 meters (394 ft) in a 30.4-degree-wide beam, or to 200 meters (656 feet) within a 17-degree angle. Changing the optics can also provide high definition across an 87-degree beam, but only to “10s” of meters range. Image processing happens in the camera itself, with Nvidia chips helping classify vehicles, cyclists, motorcycles, and pedestrians. On a clear Las Vegas morning, the image was nearly indistinguishable from that of an early black-and-white CMOS camera. Pricing is expected to be less than lidar, more than plain cameras. Mass production is expected by 2021, and the company is also marketing the technology for use in smart traffic light signaling. 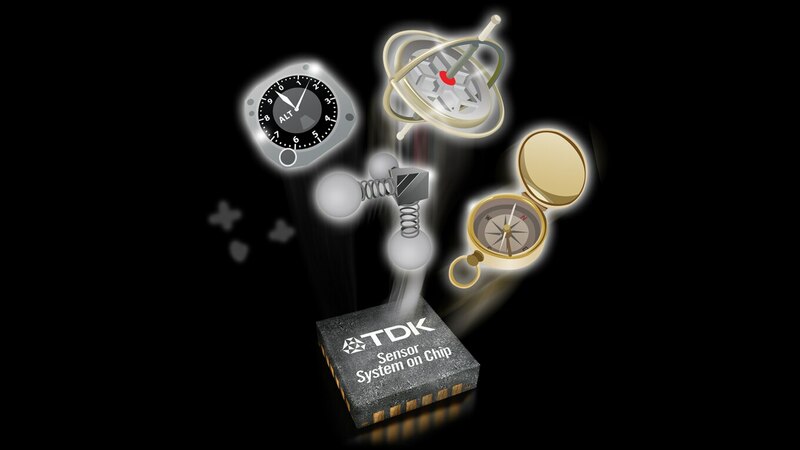 TDK InvenSense bills its Coursa Drive as “the world’s first inertial-aided positioning solution for AV platform developers.” That means it provides dead-reckoning to maintain positional accuracy during brief outages of the global positioning satellite network due to tunnels/trees/etc. To do this it uses a three-axis accelerometer and three-axis gyroscopes, and the system calibrates itself continually using absolute position inputs from either high accuracy GPS receivers or from perception-based systems (camera, radar, lidar) and HD map-matching. Coursa Drive provides high-rate, 100-times-per-second positions info and and orientation, which is a faster refresh rate than typical GPS/perception systems deliver, so it stands to improve positional accuracy slightly even when there is a strong signal. Demonstration units will be available to developers in the first quarter of 2019. Bosch’s Sapcorda subsidiary proposes leveraging a network of terrestrial reference stations whose positions are precisely known. 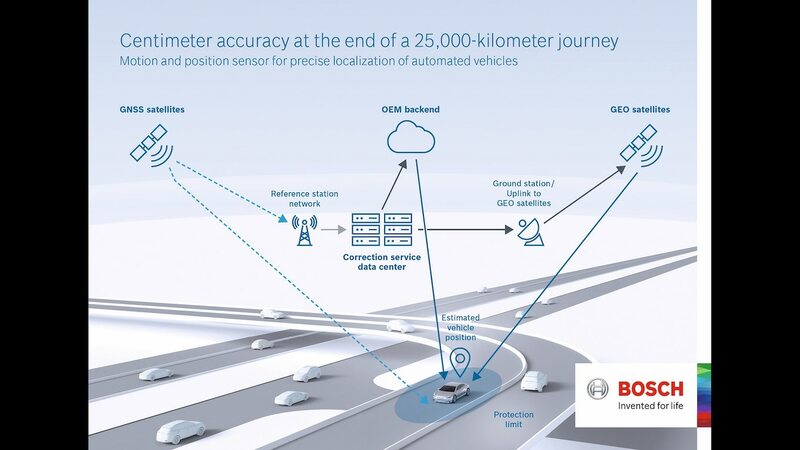 They provide correction factors that get transmitted to vehicles via the cloud or through satellite transmission in order to greatly increase the accuracy and precision of GPS satellite info—perhaps to a level sufficient for autonomous vehicle navigation. 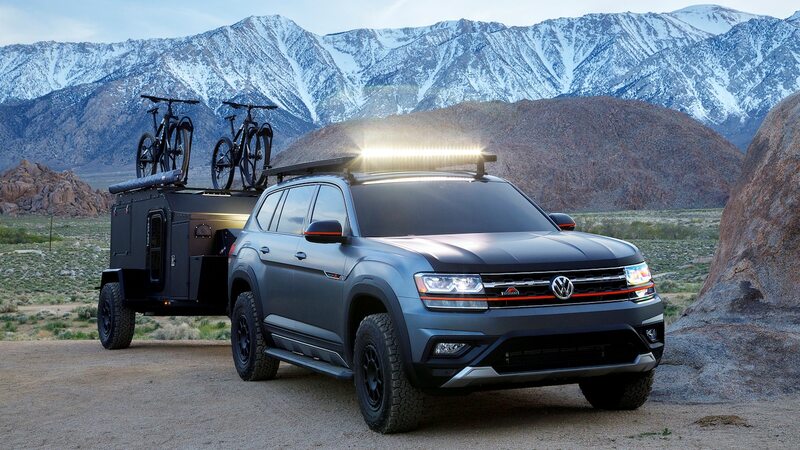 SLD Laser’s flashy CES demo is an aftermarket light bar built by Baja Designs that uses laser light rather than LEDs to increase the visible distance at night off-road, similar to high-beams from automakers like BMW. We’re more excited, though, about their research into laser-powered “LiFi.” LiFi is essentially a cross between Wi-Fi and fiber optics, replacing Wi-Fi’s radio signals with light beams pulsing so rapidly the human eye can’t detect it. A few companies are up and running with LiFi networks that replace your ceiling lights with LED LiFi broadcast/receive units and dongles for your devices, but SLD proposes replacing the LEDs with lasers, which have greater range and power. The hope is that someday, automotive-grade LiFi units could allow autonomous vehicles to communicate with one another. First, they’ll have to overcome obstacles like heavy weather and the fact that LiFi requires direct line-of-sight communication to function.